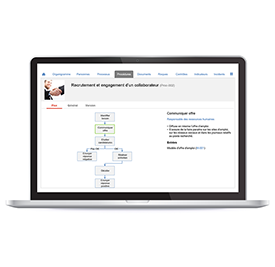 The ideal graphic tool to easily model processes and procedures. 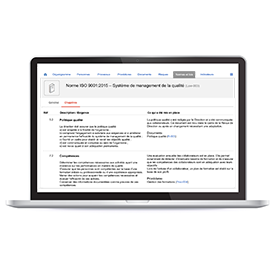 Manage, archive, and easily view your internal documents. 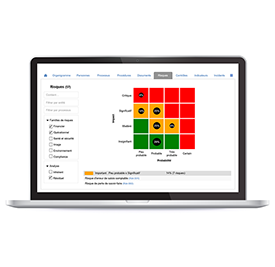 Simply analyze and evaluate all your company’s risks. 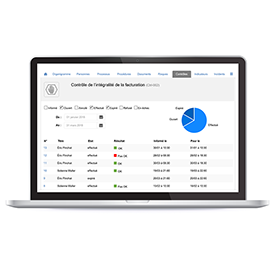 Identify, document and automatically track the implementation of controls. 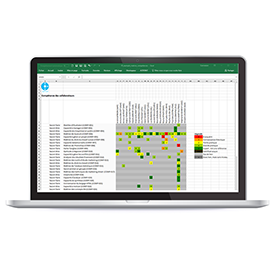 Effectively manage incidents, corrective and preventive actions, or improvement projects. 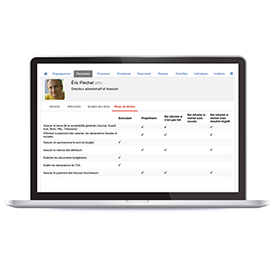 Easily identify and evaluate collaborators’ skills. 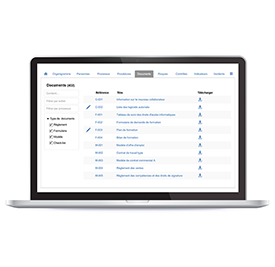 Easily identify the regulations applicable to the company and the elements put in place to meet them. 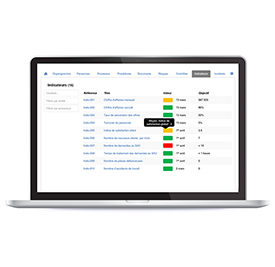 Easily define employee assignments and track their performance in real time. 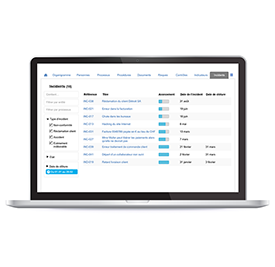 Identify key indicators and automatically collect their measurements from employees.